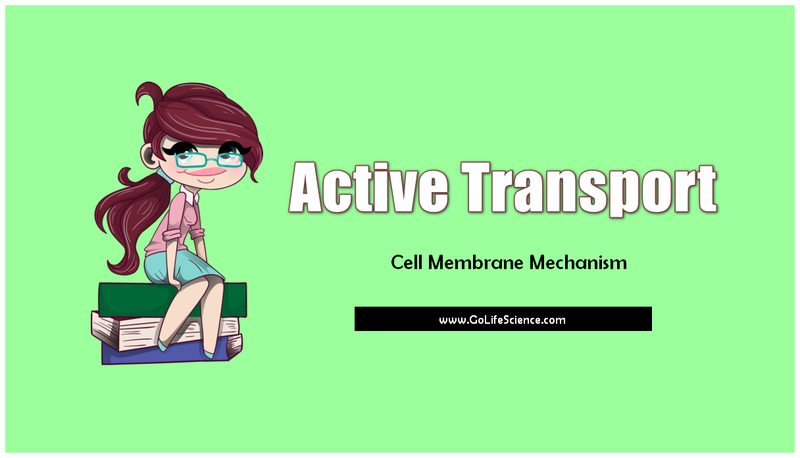 Active transport is a cellular mechanism by which molecules cross the cell membrane against a concentration gradient, that is, from an area of low concentration to high concentration other with the consequent energy. In most cases the active transport is carried out at the expense of a gradient of H + (electrochemical potential of protons) previously created on both sides of the membrane, respiration and photosynthesis processes; by hydrolysis of ATP by ATP hydrolases membrane. Active transport intracellular concentration varies and this results in a new osmotic movement re-balancing hydration. Active transport systems are the most abundant among bacteria and have been evolutionarily selected because in their natural environments most prokaryotes are transiently or permanently with a low concentration of nutrients. Active transport systems are based on specific and inducible permeases. How the metabolic energy is coupled solute transport is not yet elucidated, but in general permeates hypothesis that once captured with the high-affinity substrate is handled, experience a transformational change dependent energy which makes them lose this affinity, which is the release of the substance into the cell. The active transport of molecules across the cell membrane is made upstream or against a concentration gradient (chemical gradient) or against an electric pressure gradient (electrochemical gradient ), ie, is the step of substances from a low concentration to a very concentrated medium. Uniportadores: are proteins that carry one molecule in one direction through the membrane. Antiporters: carrying proteins include a substance in one direction while simultaneously carrying others in opposite directions. Symporters: are proteins that carry one substance with another, often a proton (H + ). It is found in all body cells, in each cycle consumes one molecule of ATP and is responsible for transporting two ions of potassium to gain entry to the cell, while pumping three ions of sodium from the inside to the outside of the cell (Exoplasma) because chemically both sodium and potassium have positive charges. The result is input two potassium ions (two positive charges entry), and the return of three sodium ions (positive charges three egresses), this results in a loss of internal electropositivity of the cell, which makes the internal environment in an “electronegative with respect to the extracellular medium” medium. In particular case of neurons at rest, this charge difference on both sides of the membrane is called membrane potential or rest-rest. Actively involved in nerve impulse, because through turns to idle. Is the transport of substances that do not normally cross the cell membrane such as amino acids and glucose. 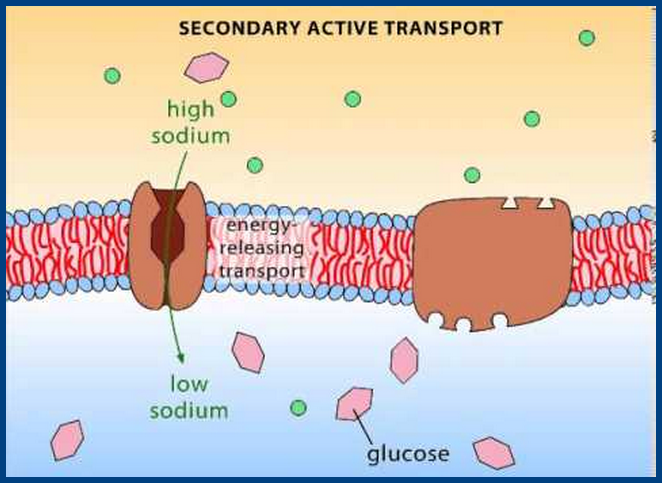 The energy required for transport derives the concentration gradient of the sodium ions from the membrane of cell (as the gradient produced by the glucose system/sodium of small intestine )? Sodium-calcium exchanger: A protein from the cell membrane of all cells eukaryotes. Its function is to transport calcium ion (Calcium ion ) to the outside of the cell model using the sodium gradient; its purpose is to maintain the low concentration of Calcium ions in the cytoplasm which is about ten thousand times less than in the external medium. Per cation, Calcium ion exchanger expelled penetrate the extracellular medium three cations Na + into the cell. It is known that changes in the intracellular concentration of Calcium ion ( second messenger ) are produced in response to various stimuli and are involved in processes such as muscle contraction, the gene expression, the cell differentiation, secretion, and various functions of the neurons. Given the variety of metabolic processes regulated by Calcium ion, an increase in the concentration of Calcium ion in the cytoplasm may result in the abnormal operation thereof. If the increased concentration of Calcium ion in the aqueous phase of the cytoplasm approximates a tenth of the external environment, the metabolic disorder produced leads to cell death. Calcium is the most abundant mineral in the body, in addition to multiple functions. potassium pump that keeps the concentration of Na + in the cytosol extracting cell against a concentration gradient. Also moves the K + ions from the outside to the inside of the cell even though the intracellular concentration of potassium is higher than the extracellular, this pump should be operated continuously as there are losses of potassium and inputs Sodium by aqueous pores of the membrane acts as an enzyme that cleaves the ATP molecule and are also called pump Na + \ K + -ATPase. This pump is responsible for maintaining the concentration differences of sodium and potassium through the membrane, and to establish an electronegative potential inside the cell, its primary function is to control the volume of cells without its function the organism It would swell to bursting, if any cell came to swell the Na + \ K + is automatically activated to move more ions to the outside and carrying water with them. Calcium ions are maintained in a low concentration in the intracellular cytosol almost all cells of the body, this is achieved by two pumps Calcium primary active transport. One is located in the cell’s membrane and calcium pumped into the interior of one or more of the cell internal vesicular organelles. The Na + \ K + has a significant difference in concentration of Na through the membrane, hence these ions tend to enter the cell through the pores, and this potential energy is exploited for other molecules such as glucose and amino acids, can pass through the membrane against a concentration gradient. These mechanisms require the prior establishment of a concentration gradient. Once set both a change of conformational substances derived energy and concentration gradient for sodium produces displacement inwards and outwards calcium occurs. Audesirk, Teresa, and Gerald, 1996. 1. Biology Fourth Edition.Prentice-Hall Hispano SA, Mexico. P 76, 87, 106-118 and 123.